Fourteen years back most of the businesses had not even heard of 3D printing or had not even experimented with printing objects in material like plastic or metal. However, one research institute had been laying the foundation of building its own 3D printer for a complete intricate material, the human tissue. Transplants of tissue and organs have been utilised in medicine for years in assisting patients with damaged or diseased tissue, skin grafts for burns. For instance, a piece of patellar tendon was used for replacing a ruptured ligament. Usually these tend to come from donors or are taken from a healthy area of a patient’s body to a damaged part, though scientist from Wake Forest Institute for Regenerative Medicine – WFIRM seemed to have developed a prototype printer which could be utilised someday, to print tissue sections designed to fit into a person’s unique disorder. WFIRM researchers, to begin with, starting working on constructing human tissue from cells by hand and the first cells were removed from the patients through biopsies where a tiny sample of tissue tend to be explanted in order to assist physicians with the diagnoses, which is cultured to multiply in numbers. The cells are placed on a scaffold, positioned into an incubator and when the tissue develops into the desired build, is returned to a patient. It is said to be a labour intensive process, one which yielded tissue that has not been adequately strong enough to be utilised in human patients. Dr Anthony Atala, heading the research at WFIRM had informed ZDNet that they had been working on tissues and organs for patients for the purpose of implantation and had already put a pair in patients. They recognised that it was OK to create them by hand, if one were creating a few for clinical trial. However if one was to create it for hundreds of thousands of patients, you would require to scale it up. It was at this point of time that they began looking at how they could scale up the technology. The researchers at WFIRM had hit on the idea of utilising printers in the making of tissue few years thereafter, but with commercial 3D printing yet very much at the initial level; the researchers had been experimenting with more widespread technology, adopting the prevailing desktop inkjet printers. The cells were placed in the inkwells of the printer and thereafter outputted in a specific manner in the creation of the desired tissue build. 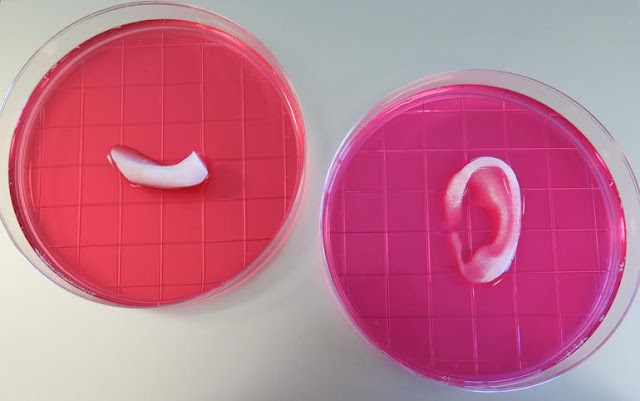 Although the commercial 3D printers seems to be more widespread over the years that followed, WFIRM researchers had to develop their own hardware depending on the inkjet system owing to the unique nature of tissue of the humans. Atala informed that they began utilising the inkjet printer for experiments to find out how they could make it work. They could get the cells through the hydrogel though they could not get the accuracy with regards to where they had laid down the cells and the constructions did not have the structural integrity essential to be surgically implanted. They began looking for more sophisticated printing which they could achieve and began doing the same by basically constructing their own printing devices. Brexit And Fintech: What Had Happened?